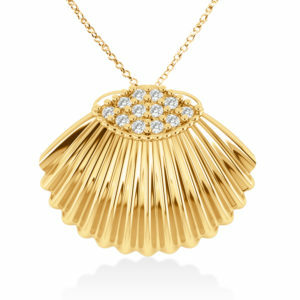 Seashell Diamond Pendant 14k Yellow Gold (0.18ct) by Allurez. The warm weather gets us so excited to be outside, soak up the sun and put away all those heavy sweaters and coats that we needed in the winter. 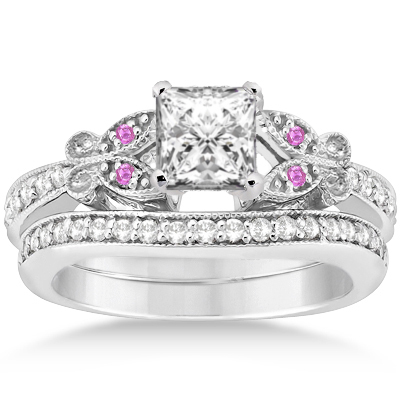 Spring is the time to pull out the fun prints, colorful outfits and match them with great pieces of jewelry. 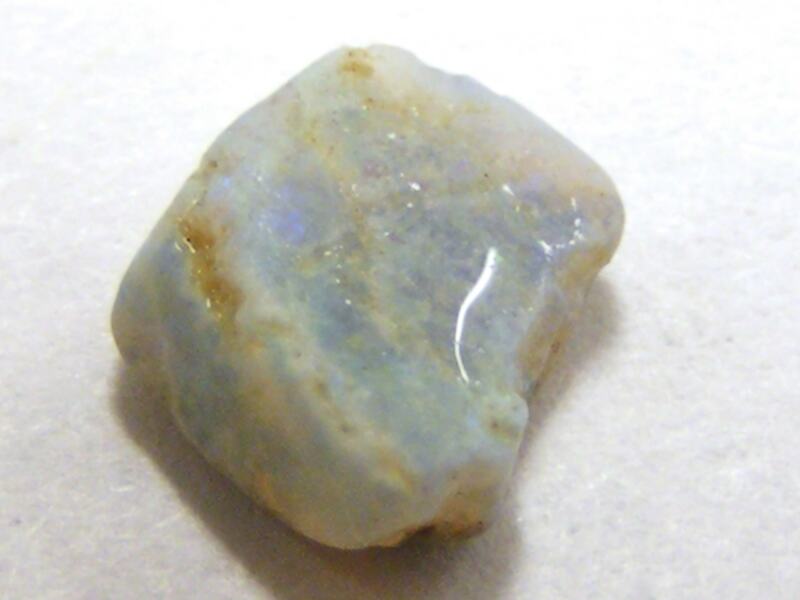 A number of trends are popping up in the jewelry world this spring, including shell jewelry, colorful jewelry, mismatched earrings and bold chains. Some trends may be out of your comfort zone and a bit daring but there is sure to be one you can make your own. 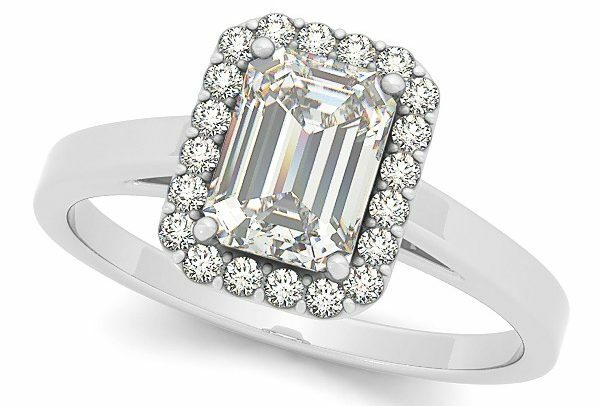 Here are some of the most popular jewelry trends for spring. 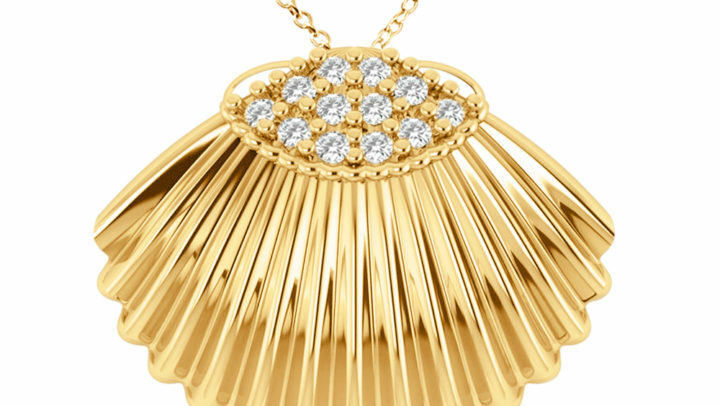 Many will agree that last year’s biggest jewelry trend was the coin necklace, made famous by many social media influencers, designers, style editors and celebrities alike. This year it seems like shell jewelry, especially seashell necklaces, are replacing last year’s coin necklaces as a popular spring trend. It has been sent on the runways of Altuzarra and Anna Sui, among many others. Seashell jewelry, like coin necklaces, also had a stackable appeal, which is still very in style. The trend is also a major hit among models right now like Gigi Hadid, who was spotted wearing a seashell necklace during Paris Fashion Week, and design houses. Chanel, Gucci and Stella McCartney all showcased the shell motif throughout their collections. Subtle shell pendants and bracelets can be appropriate for the office but feel free to go all out with loud and bold seashell earrings, chokers and rings when you’re out on the town. Seashell Diamond Pendant 14k Rose Gold (0.18ct) by Allurez. Teen Vogue published an article titled “Pearls are about to be everywhere this spring” and we totally agree! Pearls can be classy (think a strand of pearls around Audrey Hepburn’s neck) but also edgy and honestly, they go with every single outfit in your closet in one way or another. All over social media influencers, designers and more are showcasing pearl necklaces, rings, earrings and bracelets and other kinds of pearl accessories, like statement barrettes and other hairpieces. People are also stepping away from standard-sized pearl necklaces and making room for irregular-shaped and oversized pearls. A lot of people are also combining the pearl and seashell trends together so if you can’t pick one style, just wear both! Go out and rock heart drop earrings (another big trend now) that have pearls in them or oyster shell and pearl drop earrings. You can wear a dainty pearl necklace, pearl hoop earrings or even a pearl and chain necklace for that edgy cool look. 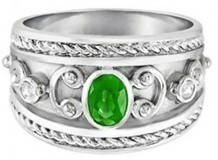 Other options include delicate pearl hoops, pearl ear cuffs and sculptured pearl bracelets. 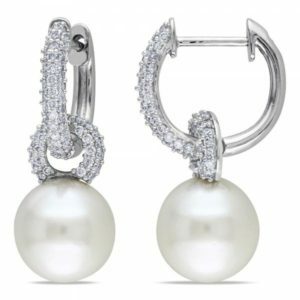 South Sea Pearl & Diamond Huggie Drop Earrings 14k. White Gold 9-9.5mm by Allurez. Chains were big in the 90s and were especially seen around the necks of rappers and hip hop artists. It’s back again but this time it’s a trend that everyone is wearing. 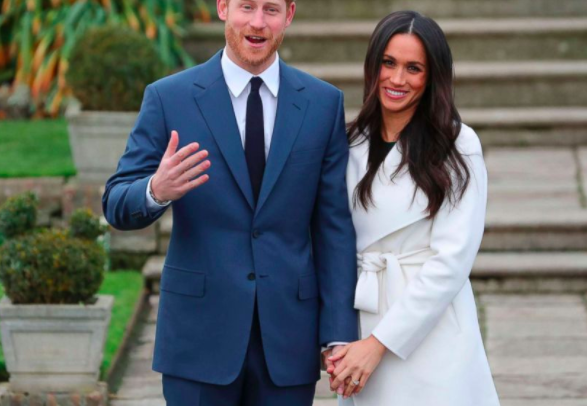 Style influencers have been spotted wearing chains on their wrists and necklines in all different types of styles (thick chains, thin ones – you name it!) Wear chain bracelets every day with jeans and a T-shirt, or add them to your outfit before going out to party. They’re been spotted numerous times on the red carpet. Layer them up or wear just one chain and you’re good to go. For those on a tight budget, this trend is also pretty affordable. 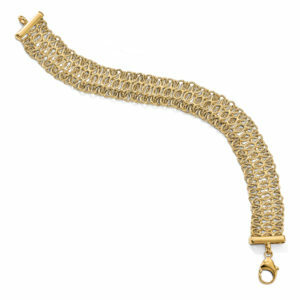 Fancy Polished & Textured Wide Chain Link Bracelet 14k Yellow Gold by Allurez. It’s been seen both on the red carpet, at other black tie affairs, and worn by women during their supermarket runs. Basically, mismatched earrings can be worn during any occasion and they are one of the most popular spring trends in 2019. They were also recently featured on runways in New York, Paris, and Milan. Wear with a cocktail dress to just out to coffee with friends. Mismatched earrings definitely make a statement and are for those who are bold enough to wear something outside of the box because not everyone is confident enough to wear things that don’t match. The earrings are bound to draw people’s attention and they are also a great conversation starter. 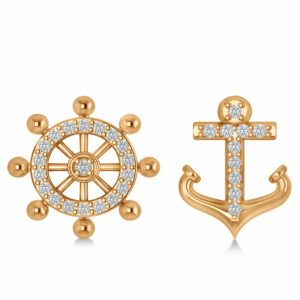 Anchor & Ship’s Wheel Diamond Mismatched Earrings 14k Rose Gold (0.21ct) by Allurez. 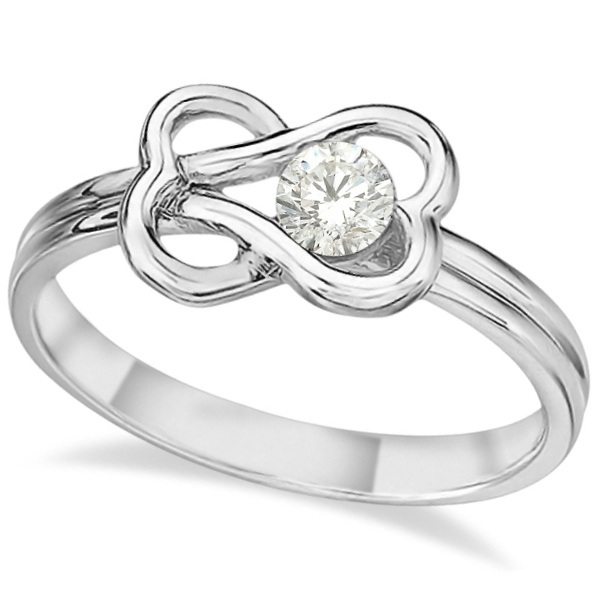 The 1980s-inspired heart designs are making a huge comeback this spring in several sizes, styles and colors. With this trend, the bigger the better. People are loving chunky oversized heart shaped earrings and in a rainbow of colors. This trend is definitely all about having fun so go bold or go home with big colorful heart shaped earrings or you can wear a blinged out version, like the one below, for fancy occasions. This trend has being seen all over the fashion runways, from Balenciaga to Escada, and all over social media. If you’re into hoop earrings try opting for a pair of heart shaped hoops, or another idea is a pair of heart shaped earrings that have pearls in them (that way you’re combining trends). 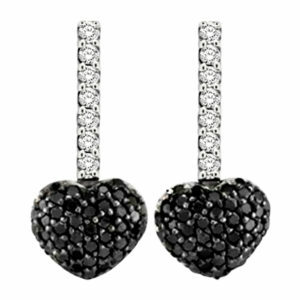 Black & White Diamond Puffed Heart Earrings in 14k White Gold (0.84 ctw) by Allurez. When Ariana Grande decked herself out with lots of jewelry in her music video for “7 Rings” this year the singer was actually on point with one of the hottest spring trends this year. Loads of crystal jewelry and over-the-top earrings made an appearance on the Spring 2019 runways and the trend doesn’t seem to be slowly down. It many not be an ideal look for everyday, but it’s all about having earrings that are “extra,” and blinged out bracelets and necklaces. 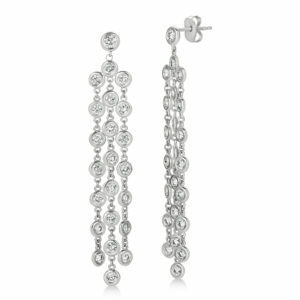 Diamond Accented Dangling Chandelier Earrings 14k White Gold (2.75ct) by Allurez.